North America, 1 September 2015. The aliens’ forward base on Earth, the wee hours of the morning. 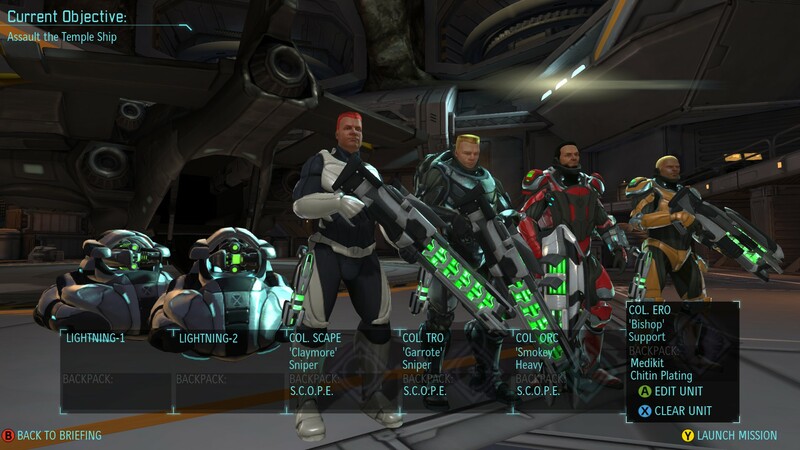 Above the landing bay, a shape appears: XCOM’s Skyranger, followed moments later by a hover SHIV and five of XCOM’s finest operatives. 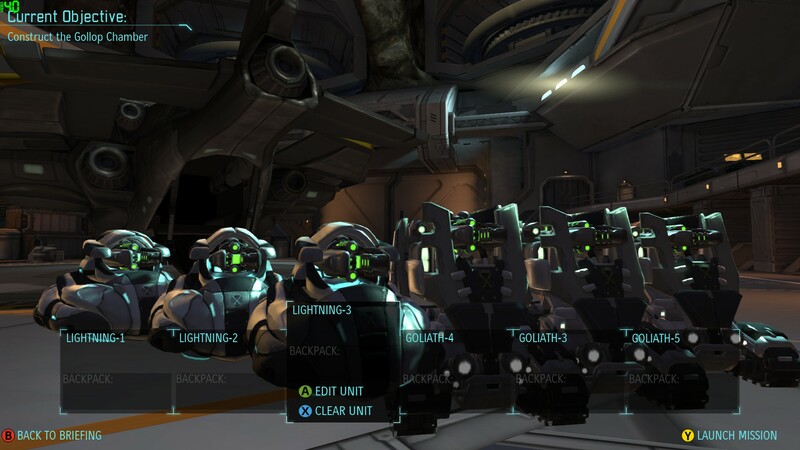 The soldiers rappel down into the base, plasma rifles at the ready. Little do they expect what lies ahead: an anti-climax. On paper, this should be harder than rocks. 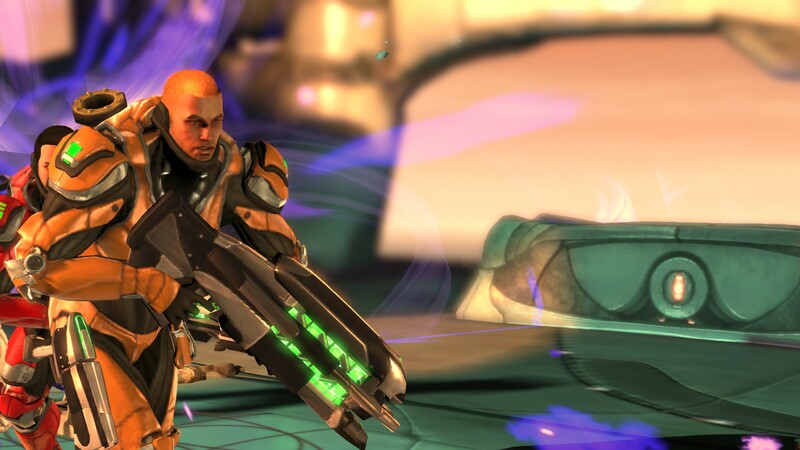 The base is crammed full of aliens, including two new and powerful varieties – the self-explanatory Muton Elite plus the Sectopod, a hulking robotic mech (pictured below, on the receiving end of Bruce’s plasma rifle) that makes the Cyberdisc look like a child’s toy. Instead, it turns out to be surprisingly manageable, for a number of reasons. 1) We’ve also brought our best. 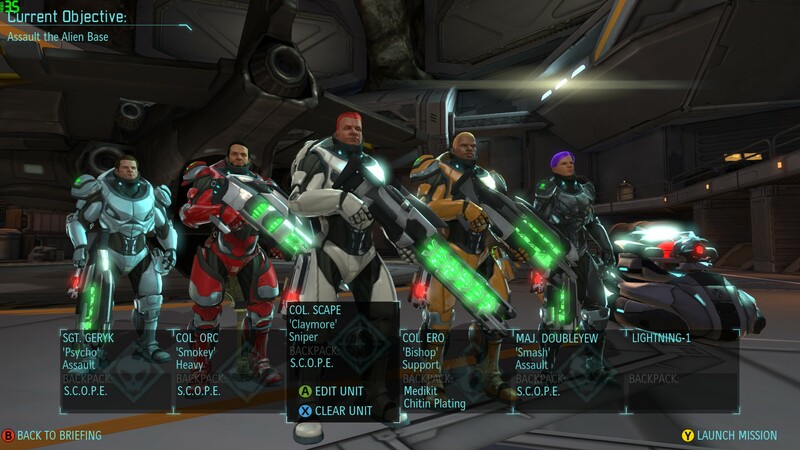 I’ve broken my rule about not putting every egg in one basket – all three of XCOM’s colonels are present, Rebecca is a terror at close range, and the hover SHIV is fast, durable, and packs a reasonable punch with its laser cannon. Everyone – even the junior guy, Bruce – is armed and armoured to the hilt. 2) The aliens are scattered such that it’s not 6 XCOM units vs 22 aliens, it’s 6 XCOM units vs, usually, 3-4 aliens at a time. Thus, we have quantity and quality on our side. 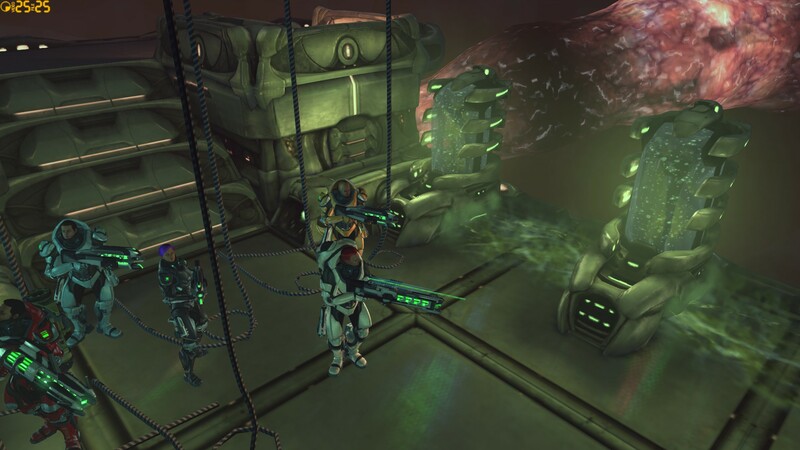 3) The aliens could not have designed a more XCOM-friendly base if they tried – it’s a linear series of vast, spacious rooms. No place for them to ambush. No scope for them to flank. 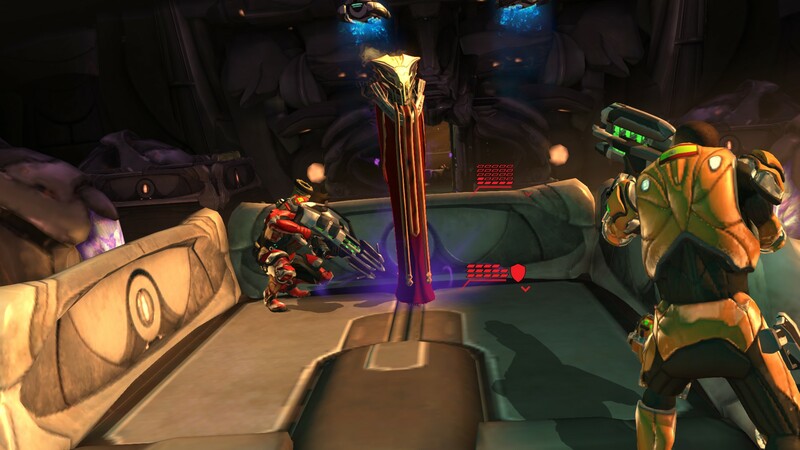 Just long, clear, beautiful fields of fire for Elyscape’s plasma sniper rifle. Methodically, the squad fights its way through the base. The only hair-raising moment comes when I run into three Heavy Floaters. Two of them swoop closer, fire, and bring Talorc down to 25% health (5 out of 20)! 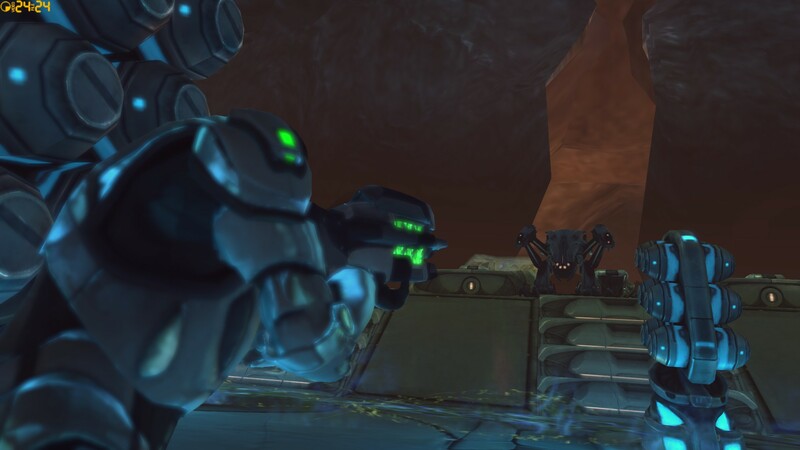 One more shot would kill him… but instead the third alien wastes its fire against the SHIV. Whew. 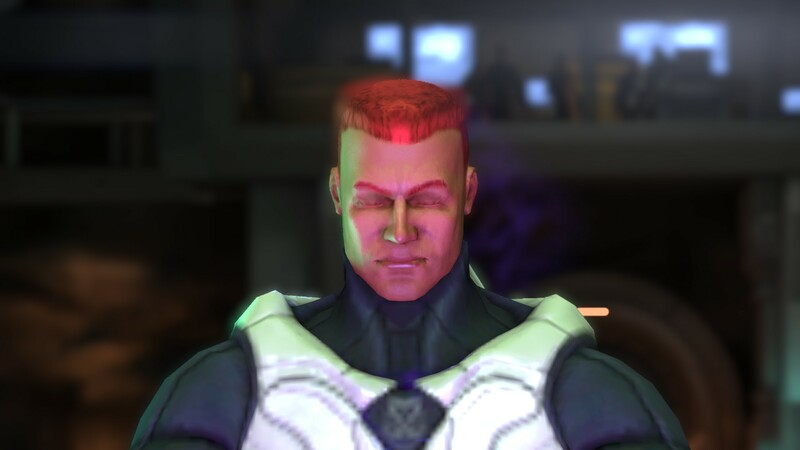 In the final room of the base, we run into another new alien – the Sectoid Commander, capable of hijacking an XCOM operative’s mind with its psionic powers. Eek! But it never lives long enough to do so. 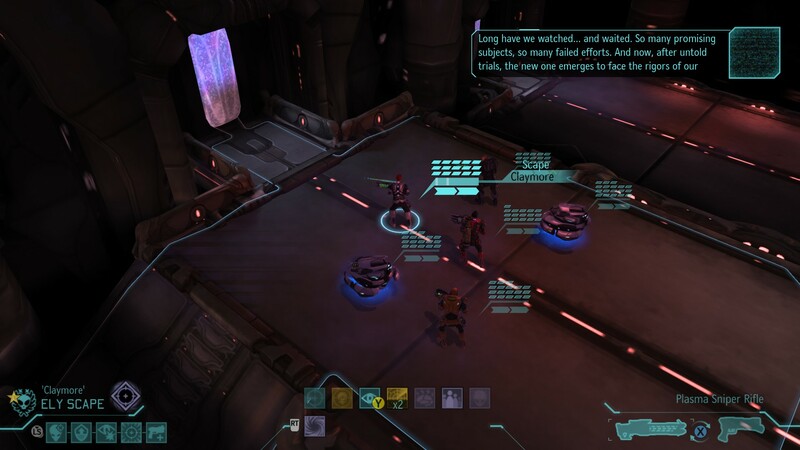 We gun down the Commander and its Heavy Floater bodyguards without incident. At this point, the game stops being a challenge. 2) The archangel plasma sniper. I have three (Elyscape, Riztro, and Gunner) capable of shooting all the way across a map, sometimes multiple times a turn! Synergises beautifully with the SHIV scout. 3) Ghost armour. 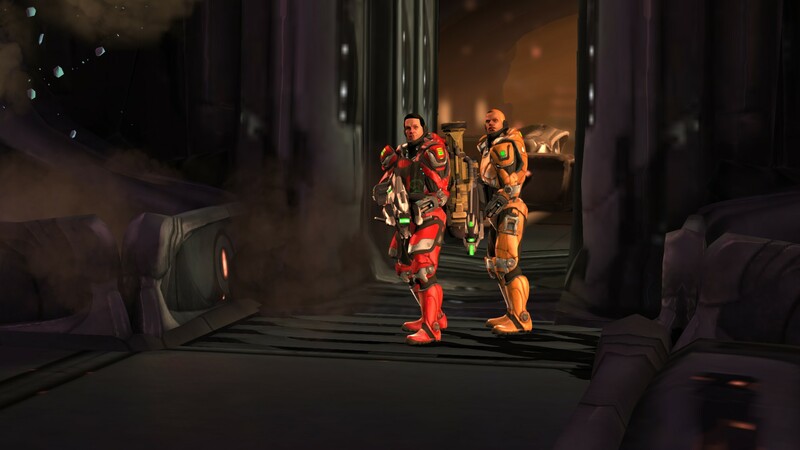 My cautious playstyle means I don’t get quite the use out of it that some other players do, but there’s something to be said for being able to sneak right next to an alien before unleashing a killing blow. 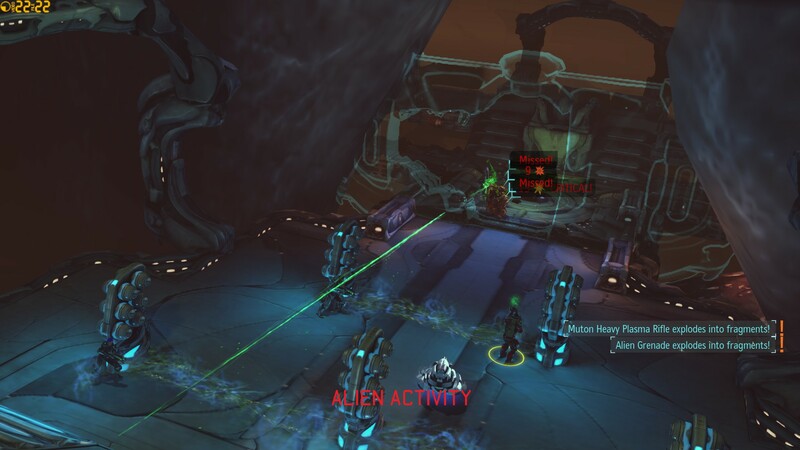 In a chamber in the deepest level of XCOM’s base, a brave volunteer – none other than Elyscape – makes contact with the alien hive mind. Does the alien leader, an Ethereal, shout defiance? Does he/she/it trash-talk or threaten us? No. 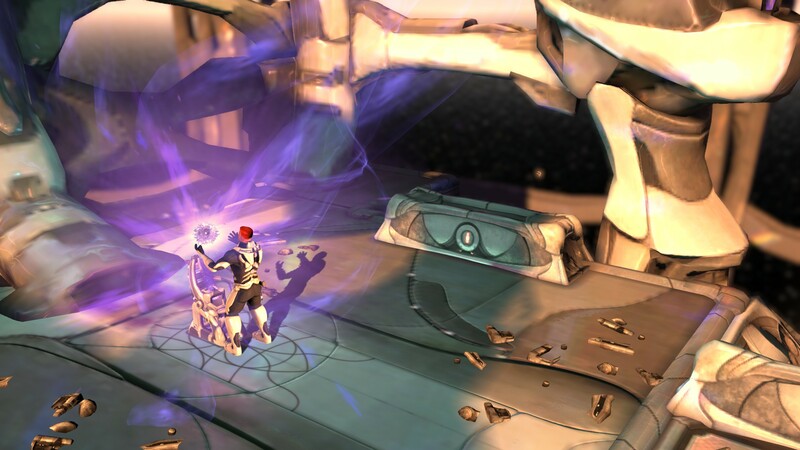 As Elyscape’s eyes glow with psionic energy, the alien rasps, “You have succeeded – where we have failed.” And soon, we will succeed in another way. 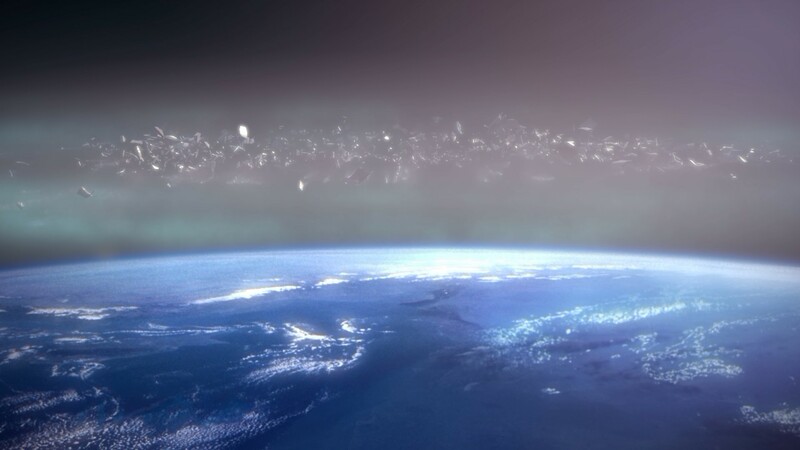 The alien Temple Ship, a vessel the size of a small country, has appeared in Earth’s atmosphere. 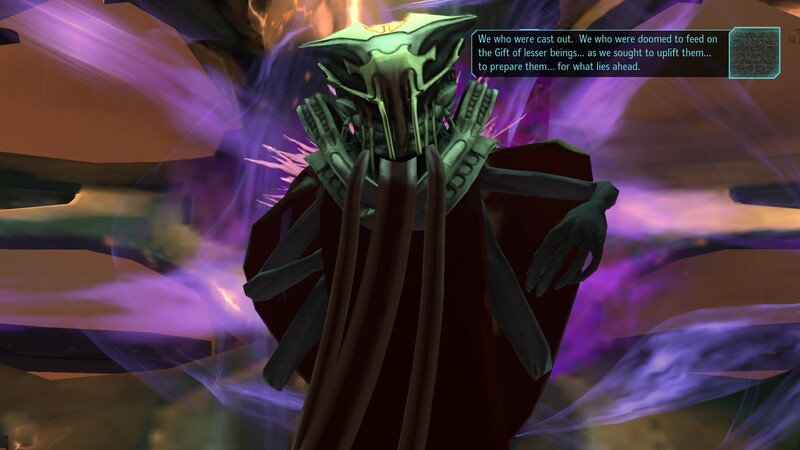 After talking to the hive mind, it’s time to take ourselves to their Ethereal leaders. 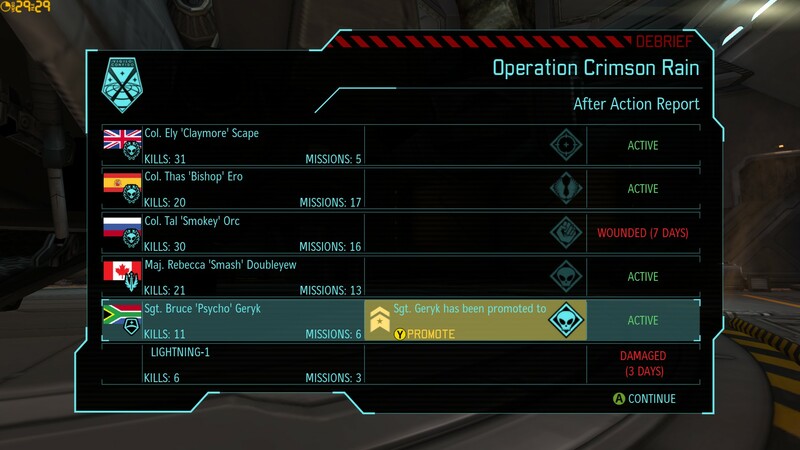 Another unorthodox squad – two snipers, Riztro and psionic volunteer Elyscape, but not a single Assault soldier. This time, it’s deliberate. The hover SHIVs are just that good. Wait, what? “So many promising subjects, so many failed efforts? And now, after untold trials, the new one emerges to face the rigours of our collective… an enduring form, paired with an equally adept mental capacity…”? As we fight our way through the Temple Ship, all becomes clear. 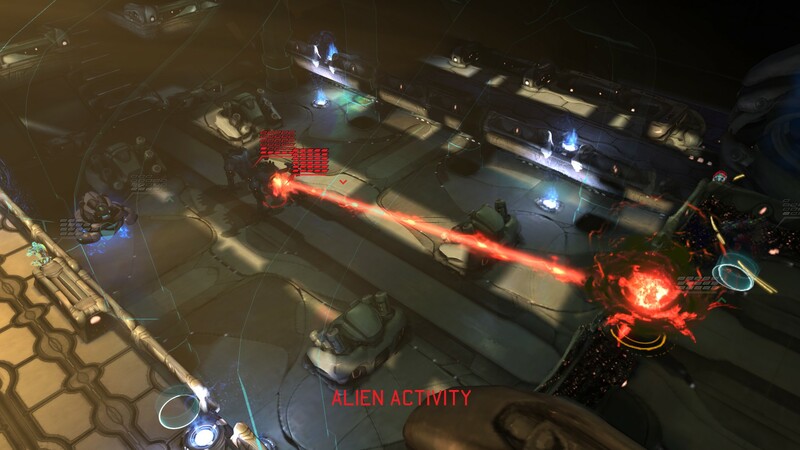 Almost every single type of alien we have fought since the beginning of the game comes back for its curtain call – while the alien leader narrates its inadequacies. The Sectoids are “possessed of a certain brilliance… but marred by their cowardice and frailty”. The Cyberdisc, which combined mechanical and biological components, turns out to be “two subjects, each with a glaring weakness – brought together in the hopes of a symbiotic strength”. The Chryssalids – a search for the psionic Gift “in the most unsavoury of beings”. Even the mighty Sectopod doesn’t measure up: “An artificial warrior created to supplement the limitations of the many failures. Crafted with a singular purpose, it ultimately contributes little to our cause.” And that cause? Finally revealed. When Elyscape unleashes his psionic powers, the alien leader enthuses, “Long was our search and now… with success so close at hand… we witness the fruits of our endeavour.” The aliens didn’t attack Earth in search of yummy two-legged delicacies. 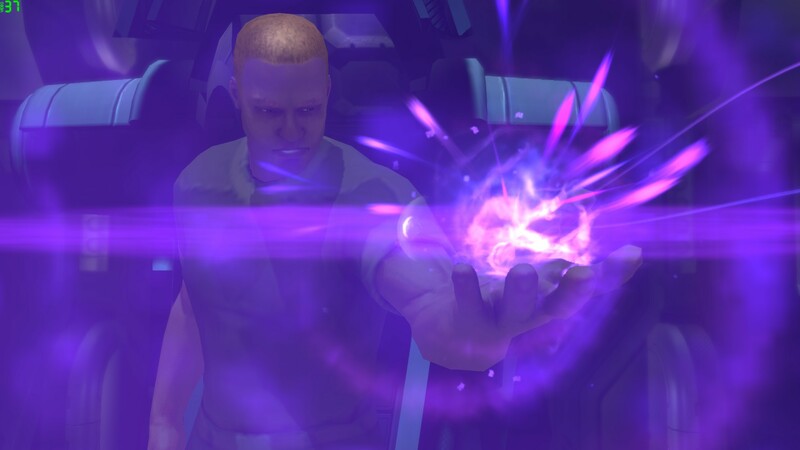 They – or to be precise, the Ethereals – wanted to create a new master race that would blend physical and psionic powers. Near the end, things start to go wrong. 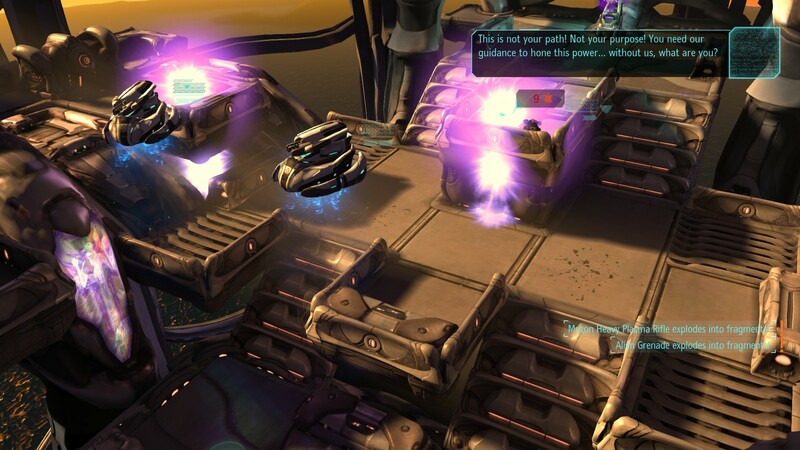 After pushing the squad forward to deal with a lone Sectopod, I realise too late that there are two Sectopods in the room. By the time the plasma has stopped flying, Talorc is down to a single point of health and Riztro is unconscious, bleeding out from his wounds. Thasero has only enough medical supplies to treat one of them. 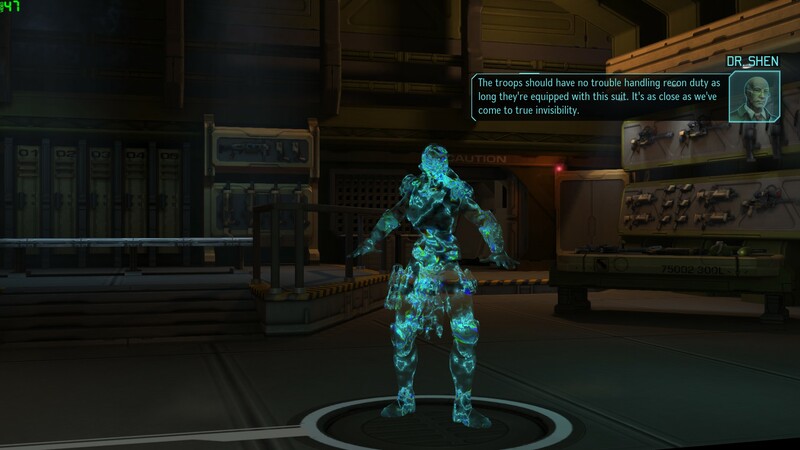 This is the moment that proves XCOM’s appeal. In gameplay terms, the answer is easy. 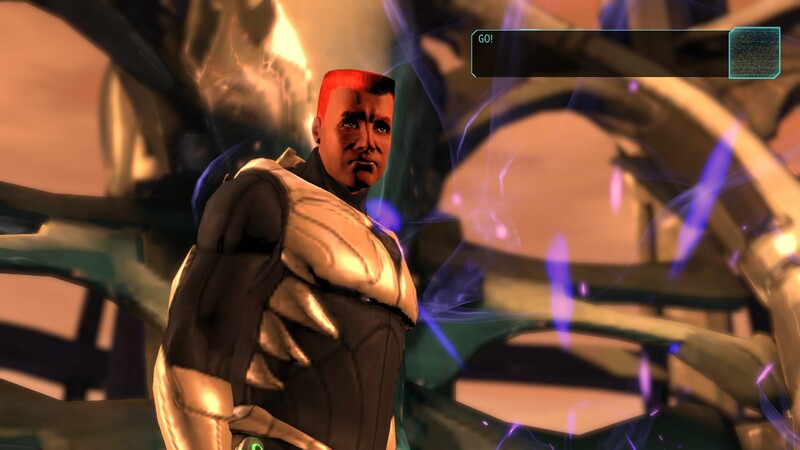 It’s the final battle, and even if I stabilise Riztro, I won’t be able to use him for the rest of this mission. So who cares if he bleeds to death? I should use the medikit on Talorc, and abandon Riztro to his fate. Thasero sprints all the way back, climbing up to the little balcony where Riztro lies bleeding. He makes it in the nick of time: Riztro’s life is saved. That may cost Talorc his, if he takes one more shot, but “may die if not treated” is not the same as “will die if not treated”. I will not let Riztro die that way. The victory cinematic kicks in. 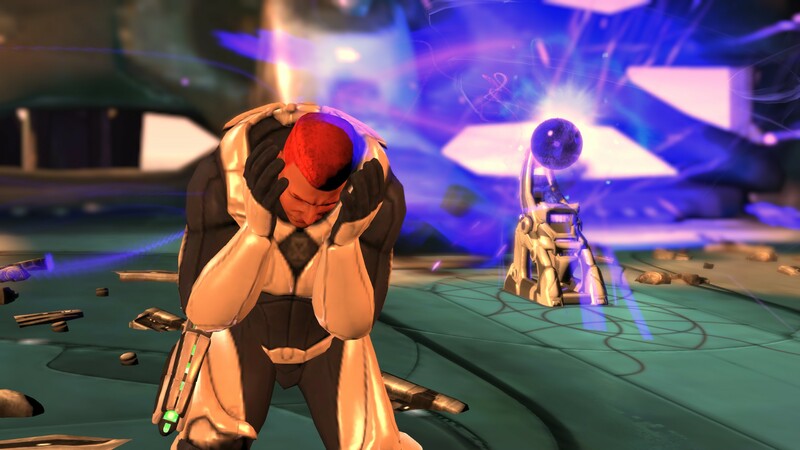 As the same purple energy flares from a device behind the Ethereal leader’s “throne”, Elyscape grips his head in agony. Thasero and Talorc run for the exit, pause to look back at Elyscape – but he has a different destiny in mind. “Go!” he yells, knocking them out the door with a burst of telekinetic energy. Visions of destruction flit before the agonised Elyscape’s eyes, and we know why: back at base, the scientists exclaim that the Temple Ship will consume the Earth in its death throes. Not if Elyscape has any say. 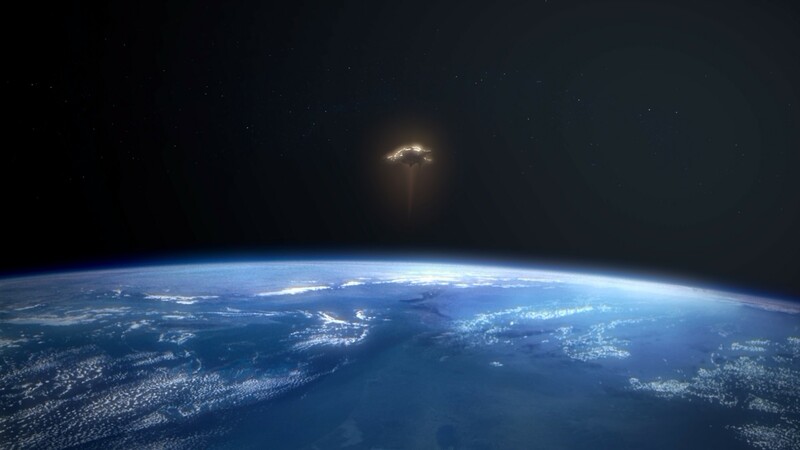 He grips the Ethereal device, steers the Temple Ship out of the Earth’s atmosphere. And that is the last we see of him. 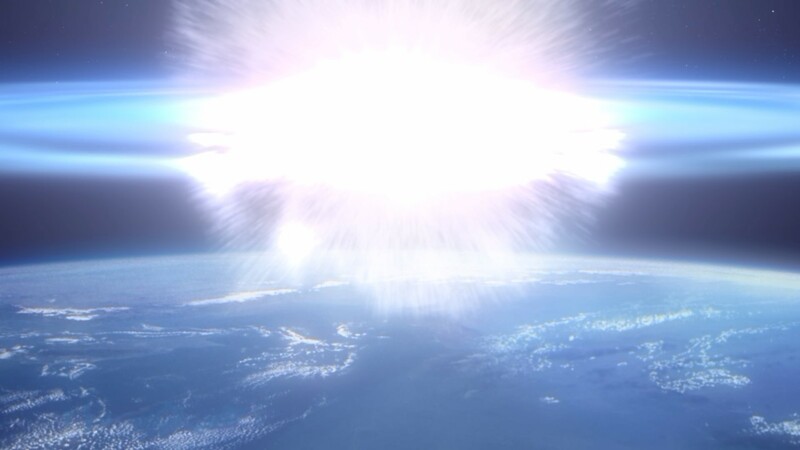 Safely away from Earth, the Temple Ship explodes. 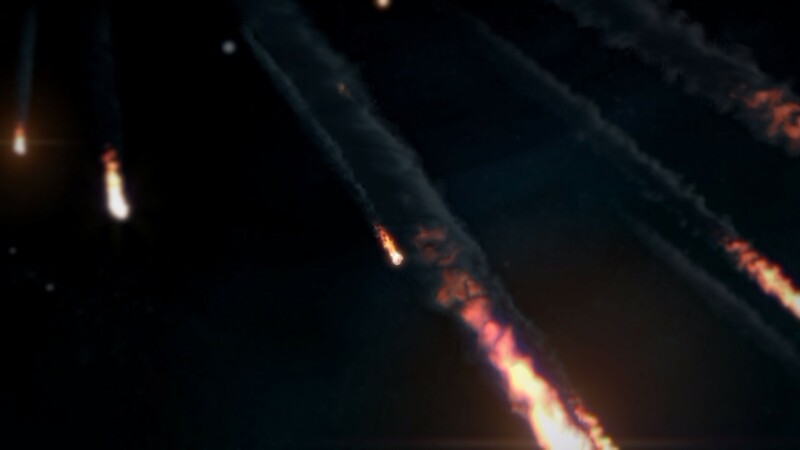 Just as the alien invasion began with a shower of what seemed to be meteors, it ends with a shower of debris from the Temple Ship. 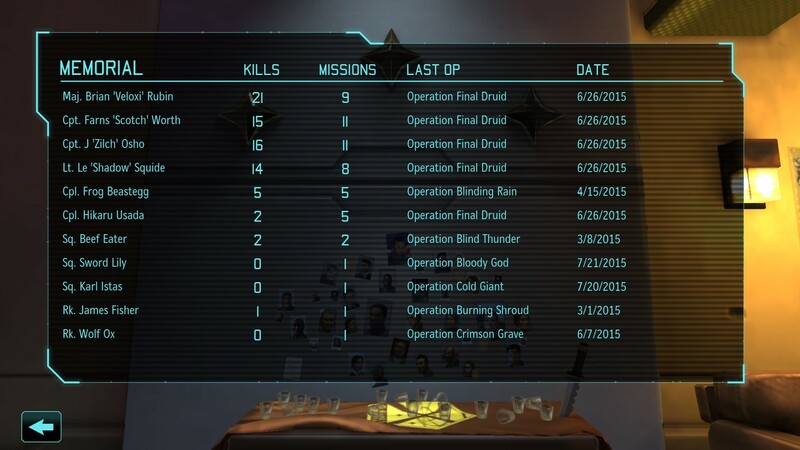 With one final sacrifice, XCOM has prevailed. 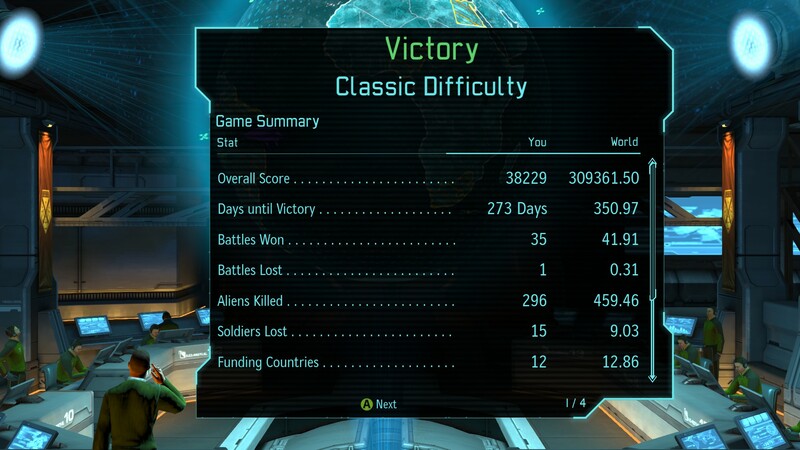 And I’ve won XCOM: Enemy Unknown. 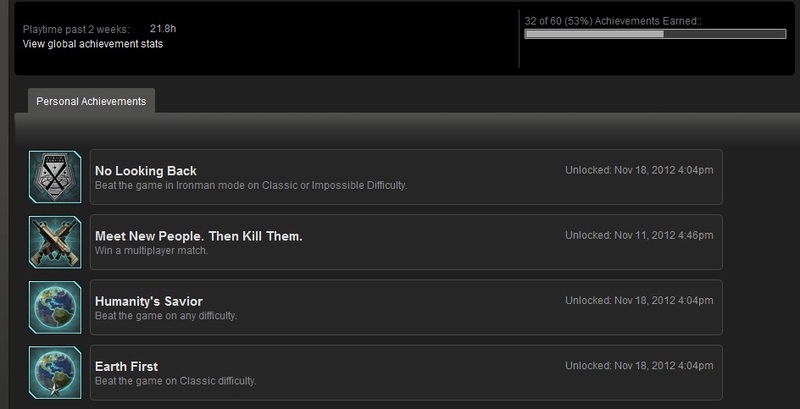 I’ll post my (short) final thoughts on the game soon, but that’s it for this Let’s Play! Thank you very much for reading and commenting, everyone! And thank you to everyone who let me use your screen names – this game wouldn’t have been so memorable without them. Hope to see you around, and happy gaming! Casualties in this instalment: None!